Born in Archangel, Russia, soprano Olga Makarina made her first New York appearances at the New York City Opera as Lucia in Lucia di Lammermoor. After the success of those performances Ms. Makarina also went on to perform there as Olympia in The Tales of Hoffmann and Gilda in Rigoletto. During the course of her career, Ms. Makarina has sung leading operatic roles such as Mimi in La Boheme, Adina in Elixir of Love, Pamina in The Magic Flute, Micaela in Carmen, Desdemona in Otello, Violetta in La Traviata, Elettra in Idomeneo, Lyudmila in Ruslan and Lyudmila, Lucrezia in Lucrezia Borgia and Norma on stages all over the world, Including the Metropolitan Opera, Teatro Regio in Rome, The Mariinsky Theater, Teatro de Bellas Artes in Mexico City, Teatro Colon in Buenos Aires, and the National Theater in Prague. Concert appearances include a recital with Yefim Bronfman and a Solo Recital at the Weil concert hall in New York City. She also sang the role of Marfa in Rimsky-Korsakov’s TheTsar’s Bride with Olga Borodina with Opera Orchestra of New York at Carnegie Hall, where she also performed regularly in Concert performances of Les Huguenots and La Juive. She also performed concerts and solo recitals in Tokyo and Nagoya, Japan, an all Bellini Concert at the Teatro Liceu in Barcelona, and in highly acclaimed festivals such as the Spoletto festival, the Cesky Krumlov Festival with the Brno Philharmonic in Czech Republic that was televised in Eurovision, at Rome’s Euro Festival Mediterraneo she sang a concert of bel canto arias and scenes with Eve Queler and the Malta Symphony at the site of Hadrian’s Villa in July 2003 which was telecast in Italy. ​Makarina has performed as a principal soloist under the baton of Valery Gergiev, James Levine, Yehudij Menuhin, and Bruno Campanella. After making her debut at the Metropolitan Opera in L’enfant et les Sortileges in 2002, her repertoire there has included Gilda in Rigoletto, Princess Eudoxie in La Juive, Elettra in Idomeneo, Lucia in Lucia di Lamermoor, Manon, Maria Stuarda, Anna Bolena, Donna Anna and Donna Elvira in Don Giovanni, and Antonia in Les Contes d’Hoffman and Violetta in La Traviata. She has performed as soprano soloist in the Verdi Requiem with The New York City Opera Orchestra with maestro Atsushi Yamada in Frederick P. Rose Hall in Lincoln Center, as well as Carmina Burana which was taken on tour to Nagoya and Sendai in Japan, also with maestro Yamada. 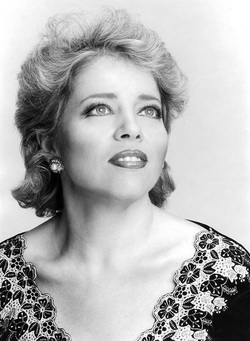 Most recently she performed as soprano soloist in Mahler’s 2nd Symphony under the baton of Atsushi Yamada and the New York City Opera Orchestra.